It’s that time of then year again! Two of our games have been nominated in All About Casual Game‘s Best of 2017 awards! 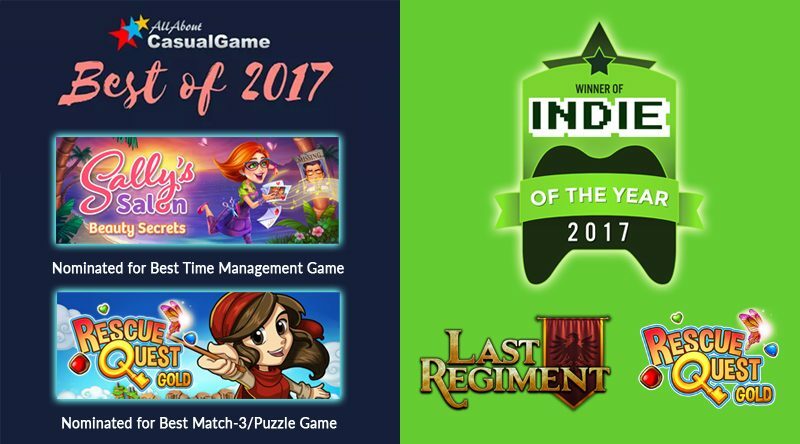 Hope you’ll vote for Sally’s Salon as Best Time Management Game, and Rescue Quest Gold as Best Match-3 Game. Meanwhile, voting for IndieDB’s Indie of the Year is underway and will go on until December 11th. Please support all Boomzap games and you might also win some game keys! Hope you can spread the word to your friends!